This painting is a Jungian interpretation of a reoccurring dream. Some Jungians believe that you are all the people in your dreams. Consequently, I had my husband trace me three times on this very large canvas. 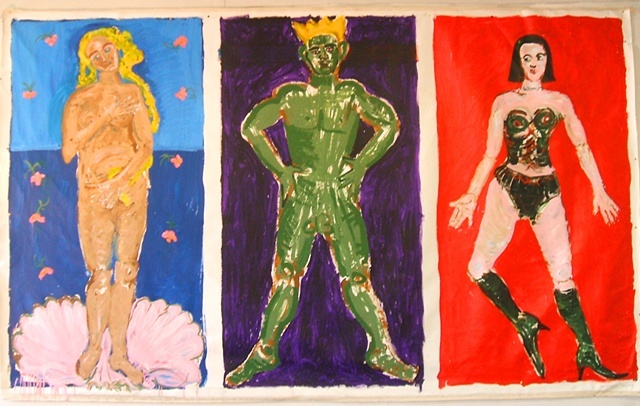 I developed the three characters in the dream (victim, king, and hussy) out of the three traced images of myself. After depicting the dream, I gained tremendous insight and I stopped having the dream.